Cycling to Wulai from Taipei. 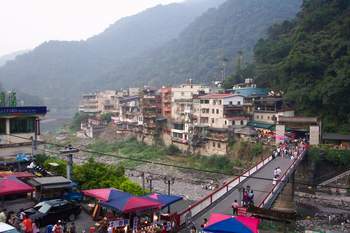 WuLai is a small town up the mountains south east from Taipei city. Going to Tamsui on the riverside cycling path. This is one of the fastest ways to get out of the City. 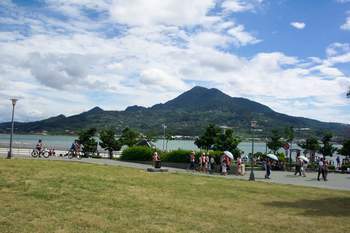 A bicycle tour to a leisure farm in Toucheng, Taiwan. This will take a whole weekend. Everyone will agree that cycling in Taipei can be quite dangerous. This is not limited to bicycles so I don't see much difference between riding a bike or taking the scooter for the every day commuting. Personally, I build me an electric bicycle that gets me around the city very conveniently every day. Just stay on the right side of the road and look around before every change of lanes and directions. 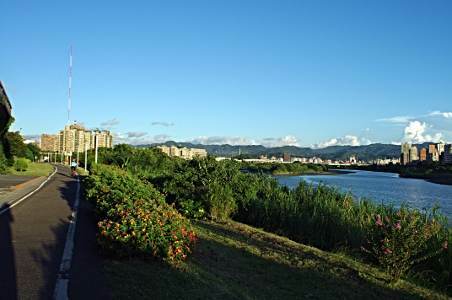 There are many biking path in and around Taipei you can use for a relaxing leisure activity. 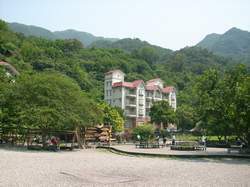 The riverside park extends for more than 40 Km around the city. There are many stops along the path with some exercising devises so you can do some workout while enjoying some nature. These biking roads are completely free from cars and scooters. There are, however, more recently car parkings popping up within the riverside park area. I find it a little annoying to see cars coming into the park. It makes me feel like someone is braking a big Taboo. The entrances are not always easy to find. Oftentimes, you cannot easily use them with a heavily loaded bike. The city government put some barriers to keep scooters out of the parks pretty much everywhere. These barriers are very bothersome for bikers. Many times, you just found your pace and then will be destructed by having to navigate your bike through or over something designed to give you a headache. This is not a problem for a carbon fiber bike of course. Riding through every day traffic in Taipei city is a bit of a different story. There where special lines assigned for bikers. Then someone very smart came up with the idea to allow parking on the bicycle lanes during certain hours and days of the week. The result of course is, where there was a three lane road without a bicycle line and a no parking zone, there now is a two lane road with a lane for parking cars and no place for the bikes to go.